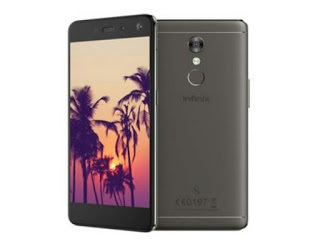 Infinix Mobile has yet again released another Hot smartphone called Infinix s2 pro which was unveiled on the 24th of April 2017. 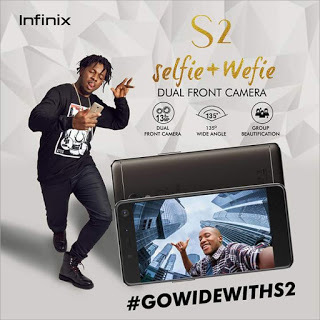 This wonderful smartphone comes in two variant, the S2 Pro which features a 3GB Ram and a 32GB Rom ,while the Infinix S2 which features a 2GB Ram and a 16GB Rom. This smartphones are know as the we-fie master as it sports a IPS LCD touchscreen 2.5D display with a Dragontrail Glass 5.2inch Display screen with a resolution of 720x120 pixel which also supports multitouch . The camera is abomb as it features a 13MP rear camera and an LED to capture clear picture even at night , its front camera feature a 13MP+8MP camera for amazing selfies we-fie master , its run an Android 7.0 nougat straight from the box. Check out the complete spec below . PRICE - Infinix S2 Pro costs 58,000 in Nigeria and Ksh 15,699 In Kenya.